Johnson Sirleaf, a development economist, has helped restore her country after a devastating civil war (the capital city was without reliable electric, water, or sewer systems for much of the two decades of war) that was marked by its abuse of children soldiers and widespread violence against women. A champion of girls and women, Johnson Sirleaf emphasized that priority during her Commencement activities. At the end of her toast at the honorands’ dinner in Annenberg Hall the night before the graduation exercises, she presented President Drew Faust with a hand-sewn “Veritas” quilt made by the women of the rural Liberian community of Arthington (shown here). A delighted Faust had the quilt hung directly behind her chair, on the blue backdrop of the Memorial Church dais for all to see, on Commencement day. It is now displayed in the reception area at Massachusetts Hall. A report on Johnson Sirleaf’s Commencement address, with an audio-video recording, is available here. Her honorary-degree citation (“for a nation long beleaguered, an unblinking beacon of hope”) appears here. Four other Harvard alumni have shared this year’s Nobel Prizes in medicine (the late Ralph M. Steinman, M.D. ’68) and in physics (Saul Perlmutter ’81, Brian P. Schmidt, Ph.D. ’93, and Adam G. Riess, Ph.D. ’96). 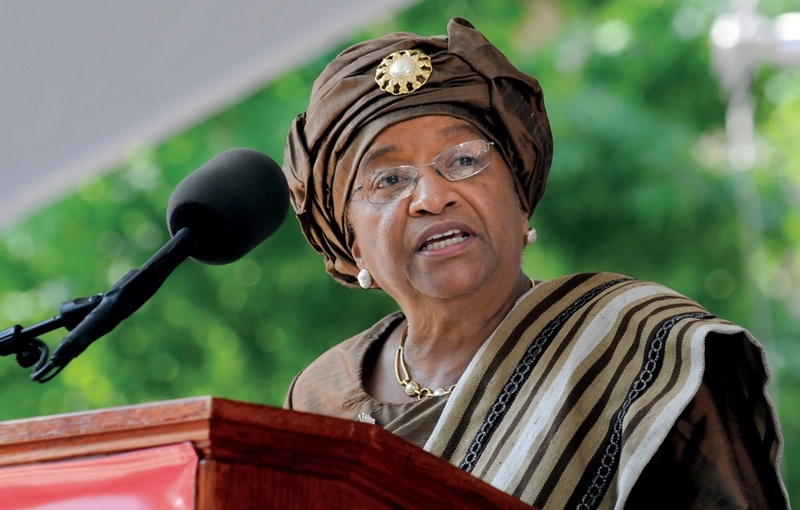 Read the New York Times account of Johnson Sirleaf’s Nobel Peace Prize. President Barack Obama, J.D. '91, won the Nobel Peace Prize in 2009. The 2010 winner, Liu Xiaobo, the imprisoned Chinese democracy advocate, was prevented by his government from attending the award ceremony (the prize was presented with an empty chair representing his absence); Harvard University Press is publishing No Enemies, No Hatred, a collection of his essays and poems in translation, this fall.